After searching the Arkansas area for a facility suitable for brewing beer – Steve Rehbock came to realize that the best beer comes from a brewery that was designed and built to be a brewery. Much time and care went into the planning and building of Saddlebock Brewery. First, we wanted to make sure we built a facility that would allow us to brew great beer. But we also wanted to design a craft brewery that was environmentally friendly. So, we made choices along the way to do just that. We broke ground on Saddlebock Brewery in 2011. Along with the facility requirements, we decided that we wanted a place where everyone could enjoy and fall in love with the natural beauty of Arkansas the way we did. 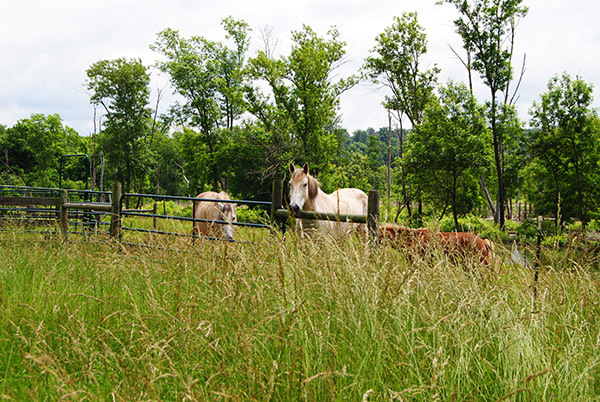 We owned a horse farm, which was conveniently located near Fayetteville, Springdale and on a major road, yet still away from the noise and fast pace of the city. It was a little piece of paradise, so it was the ideal spot. Working with the community and county we were able to build in such a way as to have minimal effect on the agricultural and residential areas nearby, we were also able to help bring city water from Fayetteville to the area. We decided to go with a red and white barn because it seemed to be the most natural choice. The 3-level design of Saddlebock Brewery is a facility that allows us to brew great beer in a natural – and environmentally friendly way. Grain storage is on the top level, most of which is locally grown or purchased. Making all our ingredients fresh, we even grow some of our hops right here on the farm – and we use an old-fashioned manual hoist to get all ingredients and equipment to the top level. Having storage on the top level allows us to gravity feed – not pump – grain into the brewing system. This allows us to cut down on unnecessary energy use/cost and reduces the risk of introducing foreign contaminants due to equipment malfunction. The ingredients then flow down to the main 2nd-level, where most of the brewing happens. The Brew House, here we continue to do things our way, which is by hand with as little waste as possible. We combine all the ingredients by hand as the grain funnels down. Our brewery features fermenters, a ten ton chiller, plate chiller, boilers, cold storage rooms, bottler and canning machines. A mid-size tractor does much of our moving and lifting. Key components of our Brew house were sourced locally, from a custom fabricator in Springfield, Missouri. 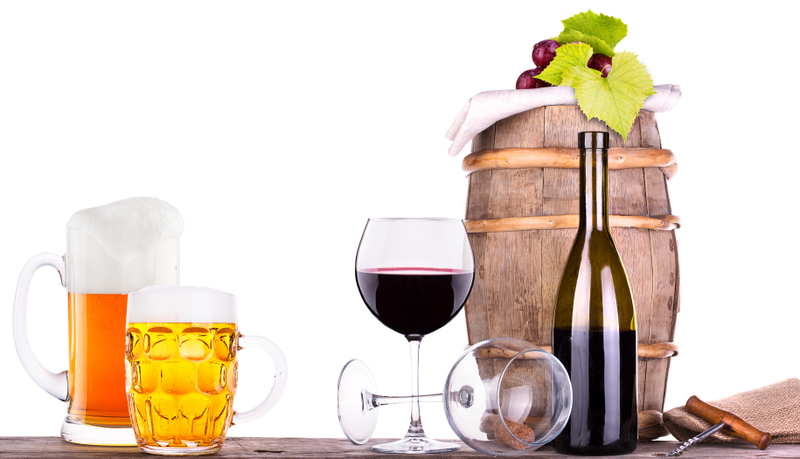 Our brewery is process-capable to brew a complete range of beers, from single infusion to decoction specialty beers. We do our best to work with the community and environment as much as we can, because without the support of our neighbors here in Northwest Arkansas we couldn’t do what we do. We are committed to producing quality beer, and have an on-site lab to monitor the health of our yeast strains and ensure that all aspects of our beers meet exacting quality standards. We have a few smaller drums on this floor for smaller batches of limited editions, special brews, and beers brewed for other local businesses. We partner with several local small businesses, throughout Northwest Arkansas, such as Fayettechill Clothing Co., Hello Cocoa, and Little Guys Movers to name a few. 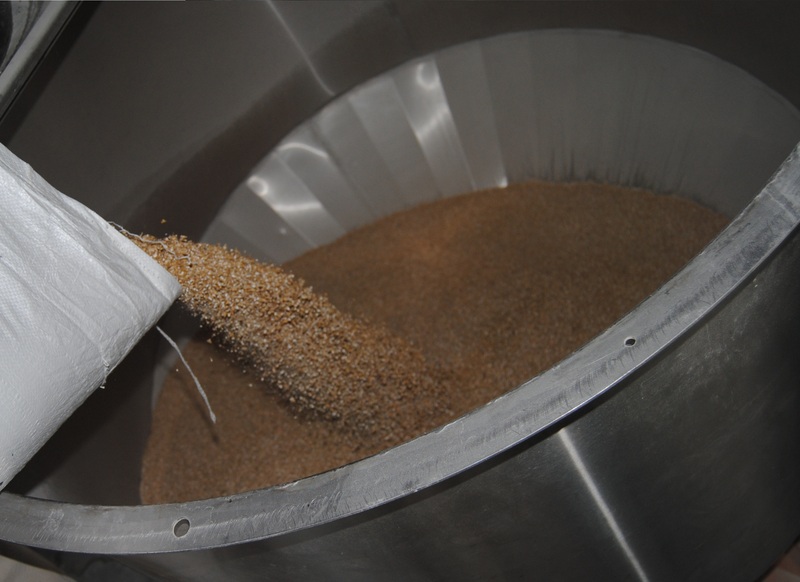 We brew Arkansas Farmhouse Ale using the rice from War Eagle Mill and Fayettechill Farmhouse Ale by collaborating. Saddlebock also hosts brewing with friends events on level 2. Where groups of lucky individuals learn about the art that is craft brewing and have the opportunity to brew their own 5 gallon batches. On level 2 along with having our main Brew House, we also have the Saddlebock Tasting Room, which makes the Brew House viewable from the Tasting Room. Lighting on this level is provided by light panels on the north side of the building, which bring in natural Arkansas sunlight without heat, virtually eliminating the need for electric lighting during the day on the upper two levels. The Tasting room also features 18 taps containing an assortment of Saddlebock craft beer. We always have dark craft beer, light craft beer, a seasonal craft beer, and if you are lucky we may feature a limited edition craft brew on tap. Such as our “Winter Daze Vanilla Bourbon Oak Porter” or our “Date with a Dirty Blonde” which is only brewed once a year. Finally, our brewery building includes a true cellar on the lower level-3. Gravity feeds beer into the fermenters in the cellar (again, no pumping). And, the cellar stays naturally cool all year, reducing the need for conditioned cooling. This is also the level where we store the bulk of our beer and kegs. 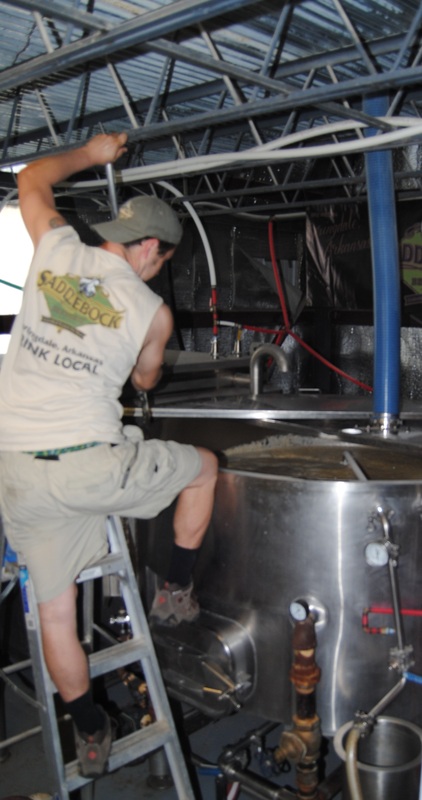 Saddlebock does all its canning and bottling by hand on the Saddlebock farm. Around the brewery we have starting adding additions. Outside the brewery we have been expanding and growing along with our business and customer base. One of the comments we get most often is how beautiful the country side is around Saddlebock Brewery, so we have recently added two outdoor patios so you can enjoy a cold beer along with a great view. We often host community events, private events and performances take place on either or both of the patio areas. It makes for the perfect place to kick-back and enjoy the natural beauty of Arkansas, just off the White River. We have recently added a volley ball court using local sand. 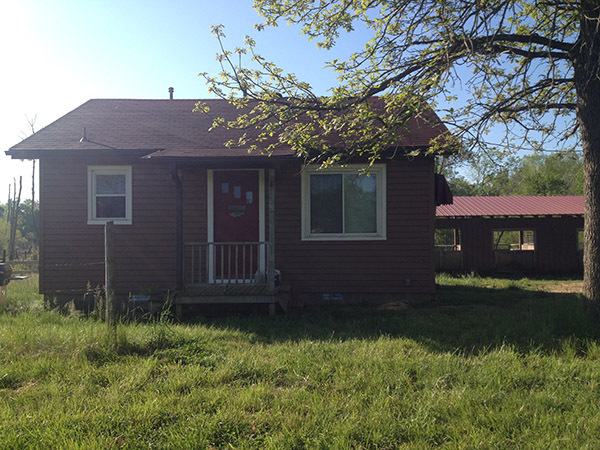 Saddlebock also has the Farmhouse Ale cottage available for those that are visiting the area for a Razorback game or just wanting to stay out in the country. It is only a short drive away from the action of the city. The cottage is located on the grounds of Saddlebock Brewery where you can enjoy great craft beer, then stroll down the drive to your cottage retreat. The cottage is also a short walk away from our horse stable. We have received a great repose from those that have come out to visit the brewery be it, picking up a few beers to go, staying over in the Farmhouse Ale cottage, taking a tour of the brewery itself, or picking some hops from the hops field, people seem to really enjoy what we do here. We have even been honored by TripAdvisor’s vacation rental site announced that through industry research & traveler feedback, Saddlebock was listed among the “50 most talked about wineries and breweries in each state” recognized on the list of 2014 Top Wineries & Breweries Worth Traveling For in Arkansas! Which is a great honor in itself, but among TripAdvisor we have been fortunate to be awarded other such accolades. Saddlebock Brewery was also named among “14 BREWERY TOURS IN THE US YOU NEED TO EXPERIENCE” in 2015. As one of the highlighted breweries in Northwest Arkansas, we will continue to make great beer, using all natural ingredients in the natural state of Arkansas. We look forward to continuing to grow and perfect our craft, with an unbridled passion in everything we do.